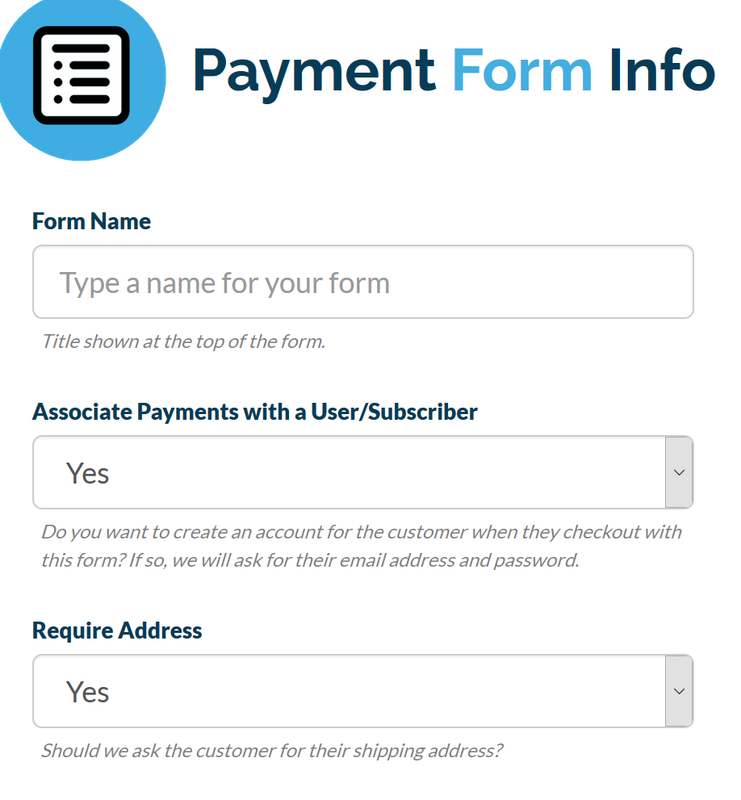 Flexible Payment - Customers will be able to insert any amount to pay you. Fixed Payment - Charge a customer one-time for a specified amount. Once you have decided what type of form you want to create you need to give it a name. Choose to require an address or not. We recommend leaving user accounts turned on. This will help associate the payments to a subscriber. Next if you are using a Subscription form Choose a Plan. This is the plan customers will subscribe to upon checkout. Lastly you can configure advanced settings such as : showing the plan image, requiring profile questions, changing the purchase button text. You can even send a user to a specific thank you page after purchase by using the redirect feature. Once you save the widget it will generate the "embed code" to copy and paste into your site.